The wait is finally over as Cold Waters is now available from Steam. Overall things went pretty smoothly, aside from the regular launch day issues that come with day one. Some user are experiencing technical issues so please keep the reports coming and we’ll address them in an upcoming patch. We are committed to improving the game with future content, incorporating player feedback and are looking forward to seeing what the community creates with user generated content. If you’d like to provide additional support, the soundtrack is also available for purchase. Game is amazing guys! Thank you for putting so much time and energy on it. I am enjoying it immensely. Thank you again! I’m rather inclined to buy the game. Just hesitant because I really would like to play the Soviet subs as well, they are the more interesting designs to me. Looks great!, will it be available on iPads soon? Will there be a mobile version too? I’ve been waiting for this for a long time. Have been playing Silent Hunter series as well as Dangerous Waters. Will the future see a multiplayer inclusion in this game? Is there a Cold Waters game for tablets available? I would purchase it. I think I will pick this game up but as I understand it you can only play American subs, not Soviet. Also, are there plans to introduce British or other NATO submarines? Have you thought about making a historical DLC? Such as adding an British campaign against the Argentinians during the Falklands War? It’s shift plus D, just found out by pressing random keys. Now I have a new question! How do you use the towed array. Also my game gets really laggy when I sink a ship on the surface and it catches fire, could you please fix that? The towed array is there and deployed all the time. You can’t retract it. It is there but the game doesn’t show it, for some reason. You can download the manual for Cold Waters under “support” on this website. I printed out the two pages with keyboard controls on them. It’s _really_ handy to have them on paper beside the keyboard when I’m playing. Pop a noise maker when the enemy torpedo is … about two boat lengths behind you, circa. And immedieately give full up or full down on the planes. And turn left or right, away from the torpedo. You have to have absolutely full speed for this to work. Head over to the Steam forums an look at the Technical Support thread and/or post your issue on the forum. Hello,I am happy to see the game was put out! But i have some questions to ask you. 2.do the player only could control the submarine? Can we use CA or CV? or you are still in making the ship modle and will put out later? 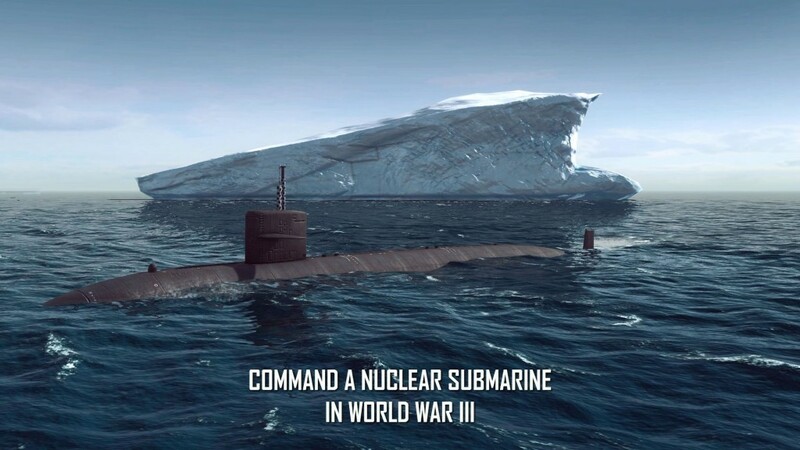 Will Russian submarines be playable? Next game I would like a mobile ship game like Atlantic fleet but modern with real time and you can play with surface vessels too! Good game.BUT,maybe a new version of the Pacific Fleet will satisfy the battleship lovers more.Or,do you have a plan to add the Battle of Jutland taken place in WWI into your game list?That one is the most famous fight between battleships and the batttlecruisers.Looking forward to enjoy that,and willing to pay a great number! Will it ever be released to ps4? Them big gun ships have much more character than missile modern ships. That would be fun! Having the US and Japanese fleets with more detail and aircraft, that would be awesome. Also if you do a upgraded version of Pacific fleet then could you please add more detail for shore bombardments, I mean I like them and they were a key part of the fleets role in land battles but it’s confusing because I don’t know when the enemy aircraft are disabled or not. Any plans to release or otherwise announce the South China Sea beta over GOG? Yes, the South China Sea update has already been handed over to GOG. Not sure how long it will take to appear on the store though.